This is wishing everyone a prosperous and more importantly a peaceful New Year. For some, 2012 is really their doomsday as marks the end of some important favours and privileges they have been enjoying. For some, it is just another number with no specific meaning other than to carry on with life. For some, it is an opportunity to express gratitude to God for being able to breath and live another day, realising that they do things in faith and knowing that there will always be hope and answer when everything seem to be falling apart. For some, and I mean for people of who live in Malaysia, it is yet another opportunity to be thankful for making a living in a peaceful country. And that, I believe, happen that way it is because of love. If 2011 has been a bitter year, remember there's always something sweet worth looking back to. If it was an abundance of blessings, remember you owe it to yourself to think about the less fortunate. It's about how you deal with obstacles and the favours at hand. HAPPY NEW YEAR AND GOD BLESS YOU MALAYSIA! @tehr & @aReLaN. Thanks, bro! Wishing you all the best this 2012.
selamat tahun baru. Welcome 2012. Yehh! Happy New Year 2012 to you and family. God Bless. Happy New Year,hope it will be another good one for you. happy new year bro. hope ya dream come true. thanks for the greeting...belated merry christmas and happy new year to you! Hi everyone! Wishing you only the best this new year. Thanks for visiting. 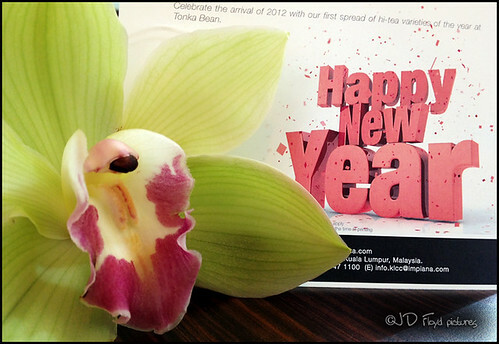 thanks a lot for leaving some notes on my blog.HAPPY NEW YEAR..Hoping for a lasting friendship on blogging. Happy New Year to you too! Wishing you all the best this year can bring! Thank you for your compliments and for following my blog!